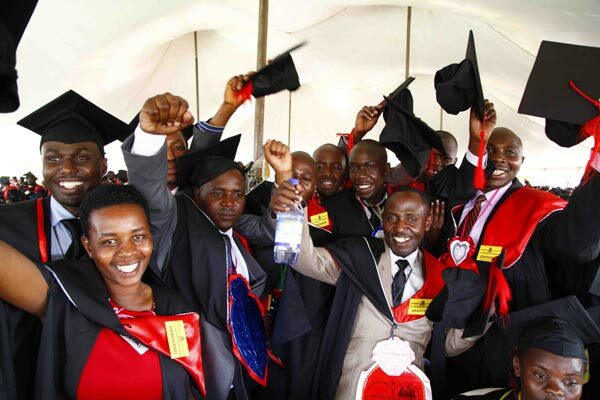 MAKERERE – With just days to 69th graduation at Makerere University, the university leadership has disclosed that over 4000 students are set to miss out. Vice Chancellor, Prof. Barnabas Nawangwe while addressing journalists on Thursday, January 3, said that a total of 13299 had satisfied all the requirements for the 69th graduation ceremony. “These will be presented for conferment of degrees and award of diplomas for the graduation ceremony to be held from Tuesday 15th to Friday 18th January 2019, ”Prof.Nawangwe said. The university academic registrar Alfred Masikye Namoah said that of the over 13000 students set to graduate. Prof. Nawangwe, however, said that over 4000 students will not be able to graduate for a number of reasons which among others he said include non -payment of fees. “We compiled the list of those to graduate in December but those who had not fully paid were 4000 and these will not graduate,” Prof. Nawangwe. Prof Nawangwe also insisted that only students who have satisfied all graduation requirements within the stipulated timeframes were included on the graduation lists. He noted that graduation requirements include among others clearance of all outstanding fees owed to the university and payment of graduation fees of shs218, 000 for each student. “The unique Makerere University graduation gown costing shs98000 has been incorporated into the 69th graduation fees,” he noted. On the claim of names missing on the graduation lists despite fulfillment of all requirements, Prof. Nawangwe said preliminary investigations have shown that many of these students could have submitted their research reports after deadlines and it has affected their graduation. He, however, noted that transcripts for all students will be ready even before the graduation ceremony.